How do I leave Digital Ocean? Um... Maybe just abandon and un-link all your payment methods. Maybe open a support ticket. Whilst doing it, though, maybe you could provide them some detail with what they've done wrongly for you to leave, so they can make it better for not just you, but all of us. If you simply destroy the servers on your account, you will not accrue anymore charges. 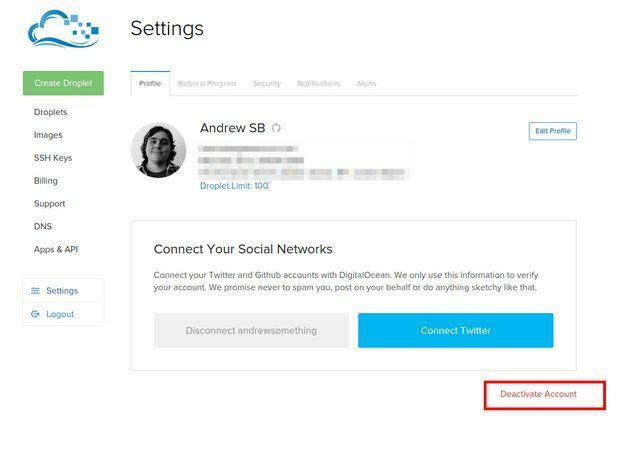 In order to completely deactivate your account, just click the link on the bottom of your profile page in the control panel.